At the price of Rs 22,999, the Kodak 4K 43UHDXsmart is surely a value for money deal. 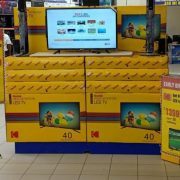 Because in the market hardly there are TVs with brand value and trust those are offering 4K Television at such low price with good quality of display and audio. The best part which I felt personally in it was its revamped operating system UI. Yes, the Miracast option needs to be improved. KODAK, once an infallible camera brand, now a TV brand in India. It doesn’t need any introduction, its long journey and trust created in the hearts of Indian consumers manifest everything. If you want to know more, how the SPPL has transformed a camera labelled Kodak into one of the top budget segment TVs of India; see our interview with CEO of SPPL and brand licensee of Kodak. 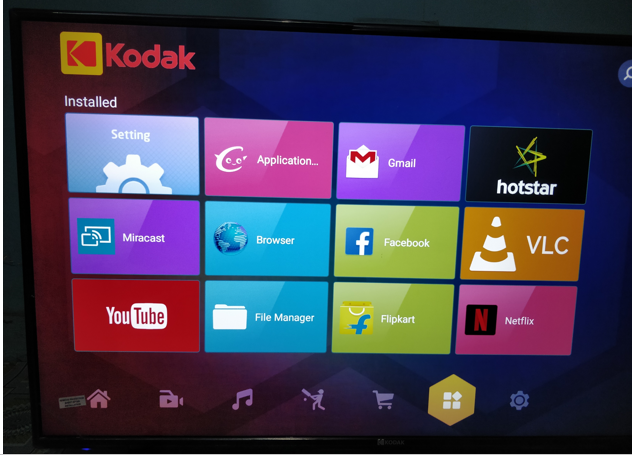 Lately, the Kodak has launched a new but revamped 43 inches Smart TV in their existing 4K UHDXSMART TV series. 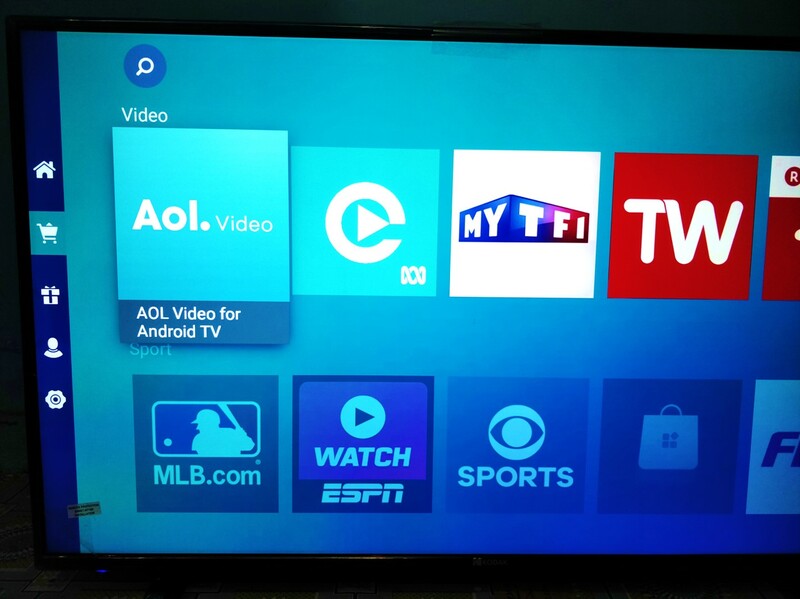 The main attraction of the TV is its new size and revamped software look and features. We got the KODAK 4K 43UHDXSMART LED TV couple of weeks before and after using it at H2SMedia rigorously, here is our review and thoughts on its performance. Please have a look. On the design side, this LED smart tv 43UHDXSMART is almost identical to its antecedents. Acceptable thick bezels in black colour with a Kodak logo given in the centre of bezel at the bottom. The remote sensor LED, RED in colour when TV is in standby mode and blue while working. Earlier it used to be placed on the right side of the TV by Kodak but this time it is on the LEFT. However, the coverage of the Remote is good but if it would have placed in the centre, it could be increased. Because most of the users aimed the remote at the centre of the TV. Control buttons are also located on the left back side. 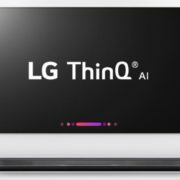 The stands of the TV are slightly different in design as compared to earlier 4K models. The durable PVC build stands this time have low height with a flat base profile to reduce the pivotal movements or mishaps. Also, for better grip, the stands have a rubberized base. We had set up the TV using its feet, however, the wall mount bracket also bundled, if someone wants to hang it. 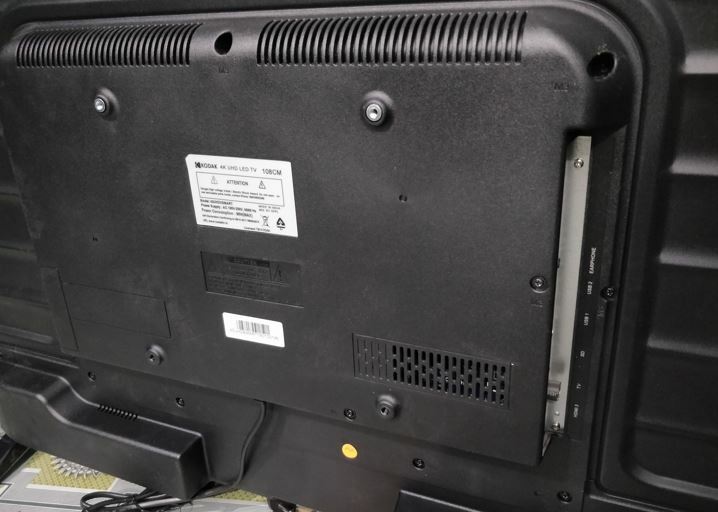 At the back side of the TV, all machinery of its has covered by a black PVC panel protruded at the centre to hold ports. 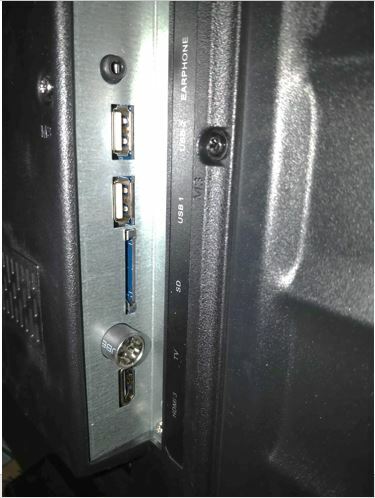 You will get two HDMI ports, Ethernet, Composite and Component cable ports on the lower back side of the TV. While common usage ports and also easy to access are situated on the left side. 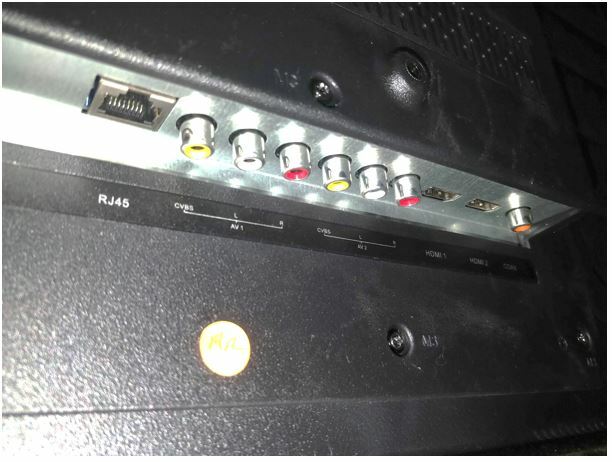 They are a 3.5mm audio output, 2 x USB ports, an SD card slot, a coaxial TV antenna terminal, and a single HDMI port. 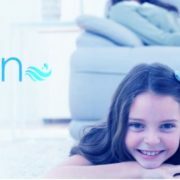 To connect the internet to TV one can use either of two options- WIFI or Ethernet. Both are very easy to setup and use. Another thing which is new this time is the design of the remote. The company has compact the size of the remote by eliminating a few buttons. 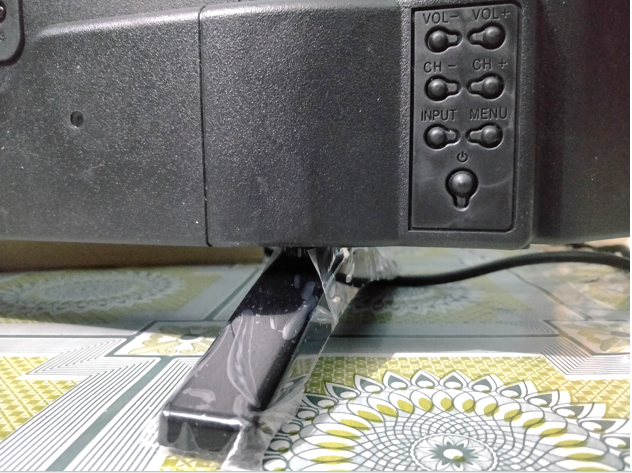 Yes, earlier the remote of Kodak televisions was very long with lots of different shortcuts such as Netflix, Apps, Hotstar, Youtube and few others. 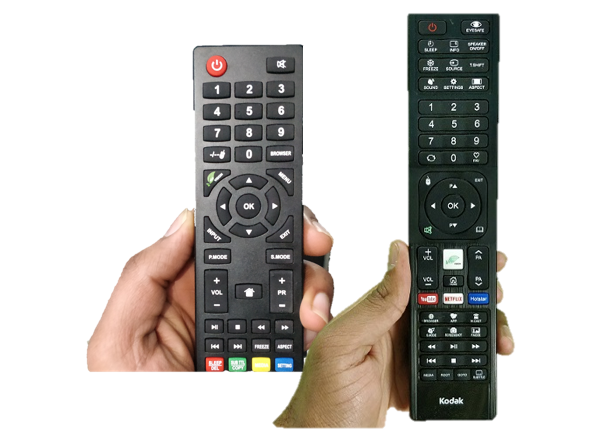 Almost all functions of the old remote are present in this new compact remote except few shortcuts. It could be a downside for users those want one-touch access to their favourite apps. The software part is really something novel in this television, it runs on Android 5.1.1 with a new makeover. The interface is completely revamped, all the menu items are given at lower section of the screen such as Home, Video, Music, Sports, Apps, and settings. When the user navigates them, corresponding history or apps will be revealed. The icons are totally new and sleek. Netflix, VLC media player, Hotstar, Facebook, Gmail, Miracast, Browser, Flipkart, File manager are a few pre-installed apps on the TV. Instead of the Google Play store, this Kodak Tv has its own App store called TV store. 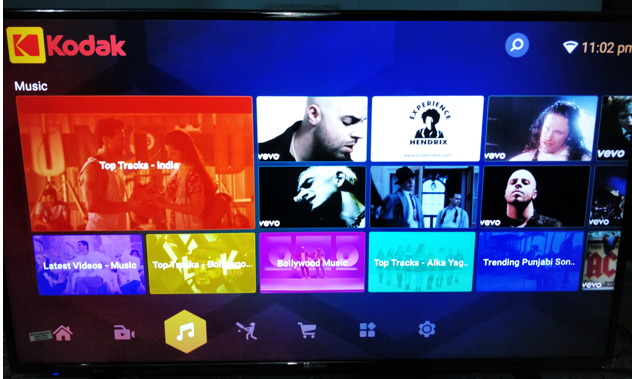 However, one can install the Google Play store on TV via its APK file. 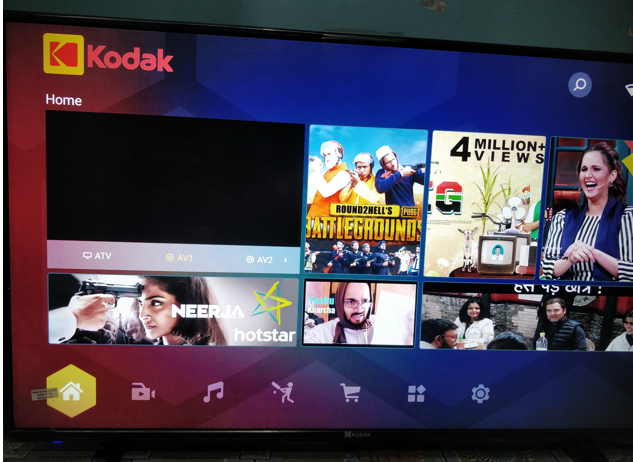 This time the Kodak has organised the ATV, AV3, AV2, HDMI connectivity selections directly on the Home screen. One can select any of them from the small windows given on the screen. Also, now we can get quick and easy access to our favourite TV shows, movies, music and much more right from the home screen. KODAK 4K 43UHDXSMART LED TV has assembled with Dual Core 1.4GHz processor, a 1 GB memory and flash storage of up to 8 GB. The resolution of the TV is ­­­­­­­­­3840 x 2160 pixels that comprised in a display of 109 cm or 43 inches. The supported video formats are MKV, MPEG-1, MPEG-2, MPEG-4 (H.264 AVC) and audio are AC3, MPEG, MP3, MP2, and WAV. The picture quality of this Kodak Tv is significantly improved as compared to the earlier Kodak 4K TVs. More sharp and crisp. The colour production is very rich not oversaturated and with HDR 10 at such budget price is really commendable. It has a brightness level of 550 nits and the contrast ratio is 300000:1 (Dynamic). There are different colour modes including standard, sports, users and more, but it rarely makes any difference. It has a 178-degrees viewing angle without any shift in colours. Overall, yet again the display panel performance is satisfactory if you consider the price point. The Miracast option of the Tv again a bit glitchy because sometimes while our usage we found it really hard to connect. We had to try 2 or 3 times to establish a successful connection. If you talk about the Audio performance then the TV comes with a stereo speaker of two 10 Watts. The sound produced by the Kodak 43UHDXsmart was satisfactory, enough loud and clear. It can easily fill a hall or your drawing room, however, if you are a music fanatic then definitely an external sound setup is required since it lacks bass quality. About accessing the content from the external media, we didn’t find any problem in that. We had used 2TB of WD’s external drive and Tv accepted it easily without any lag in performance. Even the 4K videos worked perfectly on the TV. Yes, on Youtube the highest available resolution of videos we can watch is only 1080p that also the company has to improve. 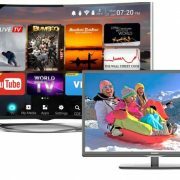 What is difference between Smart TV and LED TV?